Congratulation, children! 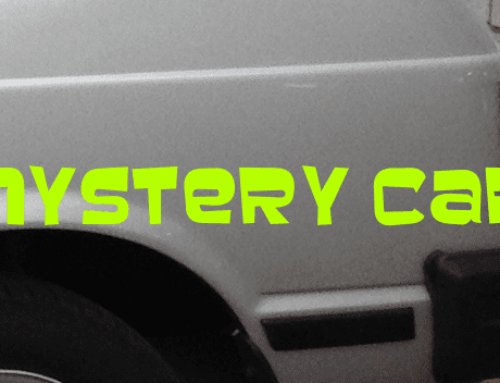 You were on your game last week and it took you only two days (this is sarcasm if it is’t painfully obvious) to figure out what the Mystery Car was. It was a first generation Miata, of course. 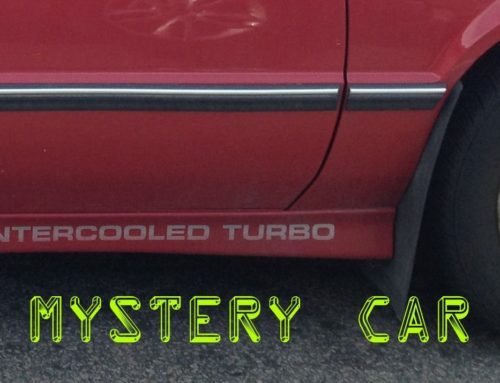 Congratulations to Mr.Roadrage for correctly identifying it. You are, of course,… The Person of the Moment! 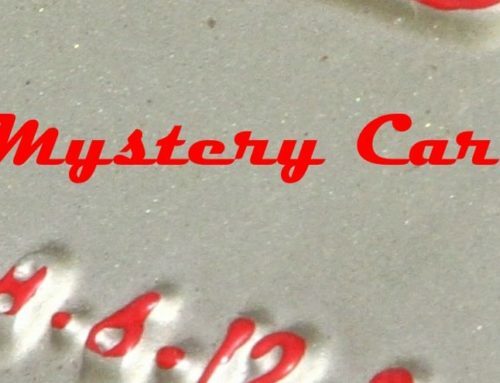 Now we get to today’s Mystery Car. As you can see in this rather unaltered image, I took this picture with my phone, because you can see me actually see ma taking the picture. It’s almost a damn selfie. 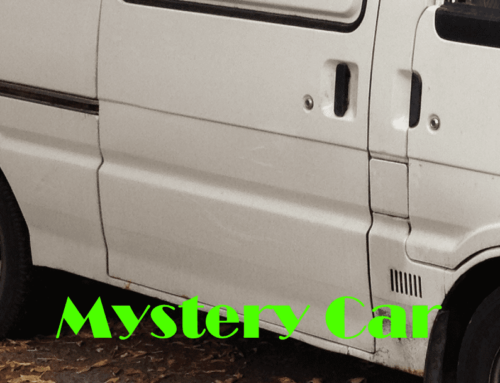 There was something really intriguing about this mystery car. 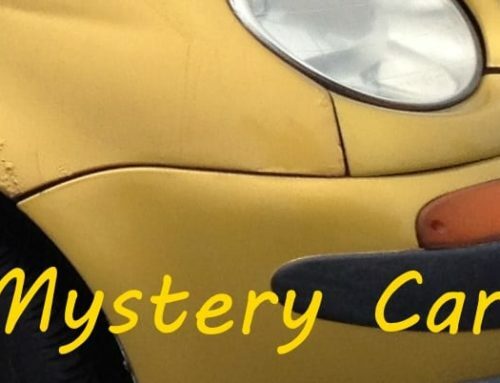 I am hoping that you can tell me what make and model it is. Good luck.